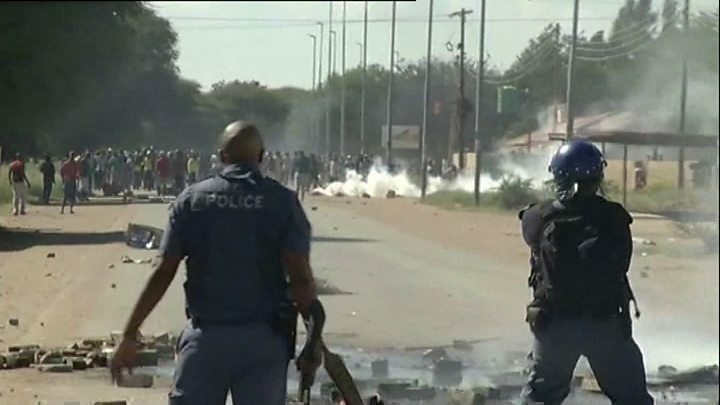 South Africa has taken over direct administration of North West province where corruption allegations have led to violent protests. There have also been calls for the regional premier to resign. The decision to intervene was taken by President Cyril Ramaphosa, who has made the fight against corruption a priority. Last month, he cut short his attendance at a Commonwealth summit in London to return home and deal with the crisis. The province's regional premier, Supra Mahumapelo - a political ally of former President Jacob Zuma - has refused to step down but went on leave. His administration has been accused of corruption and the misuse of state funds - accusations he denies. After complaints about the poor delivery of public services and the near collapse of the healthcare system, President Ramaphosa deployed army medics to help out in the hospitals. Protesters have been demanding jobs, housing and an end to corruption. It is the first time the national government has taken control of an entire provincial administration, South Africa's Sunday Times reports.